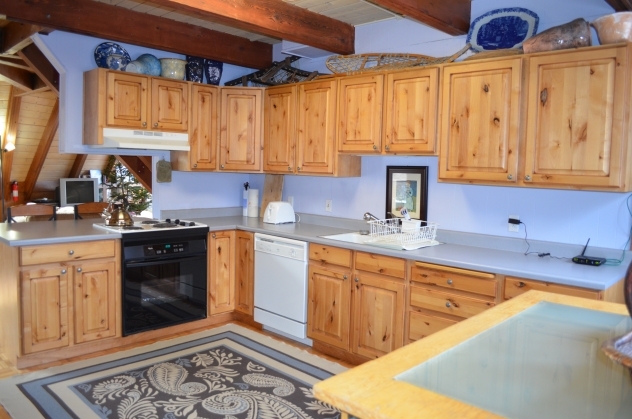 This home is popular for those wanting a great value within walking distance to slopes. 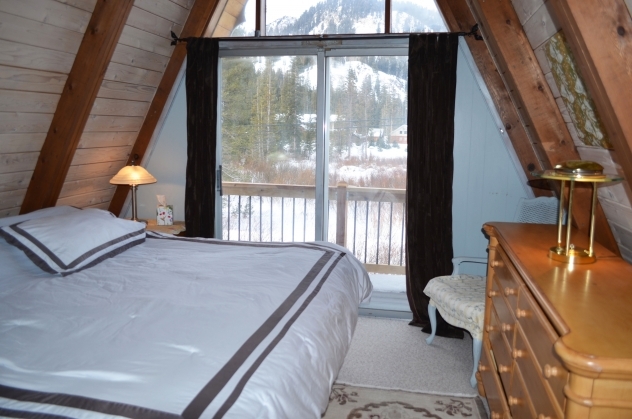 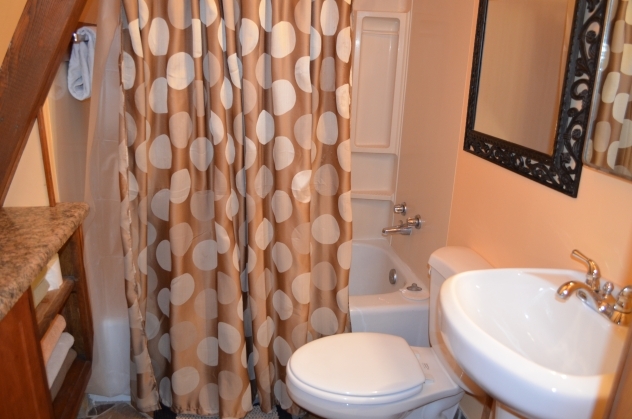 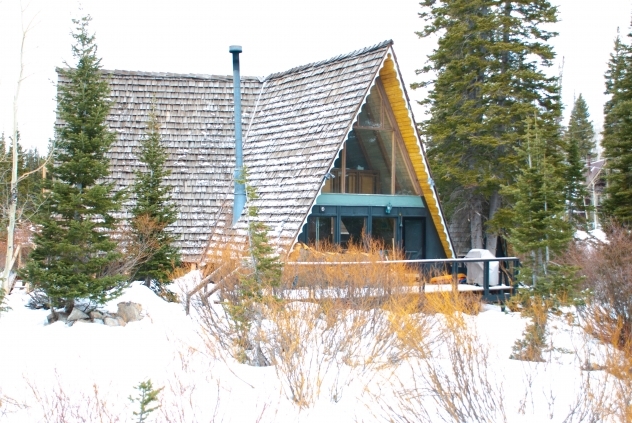 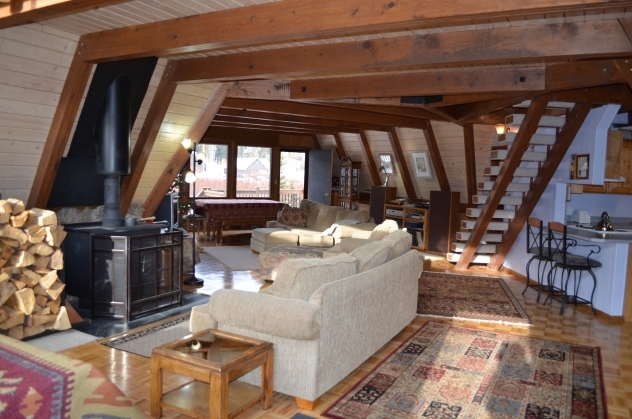 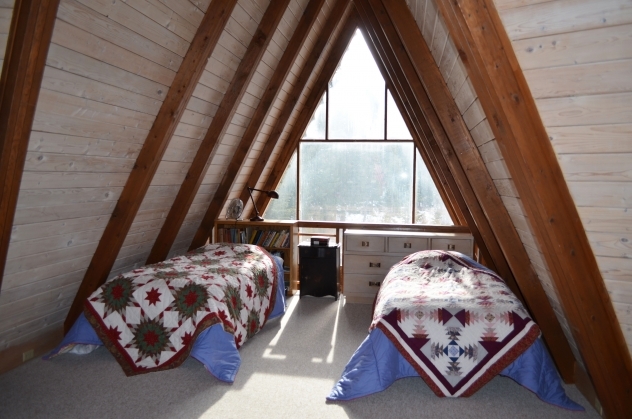 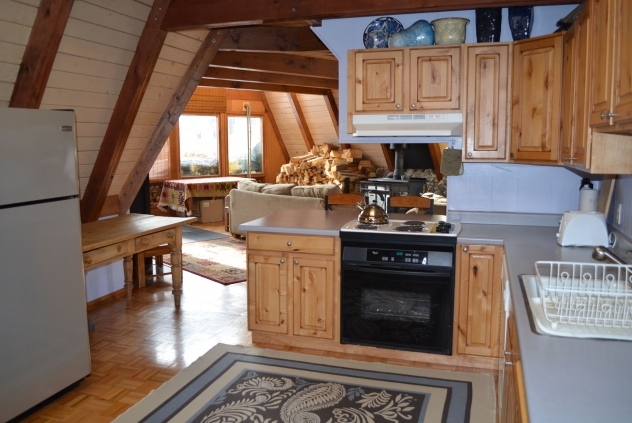 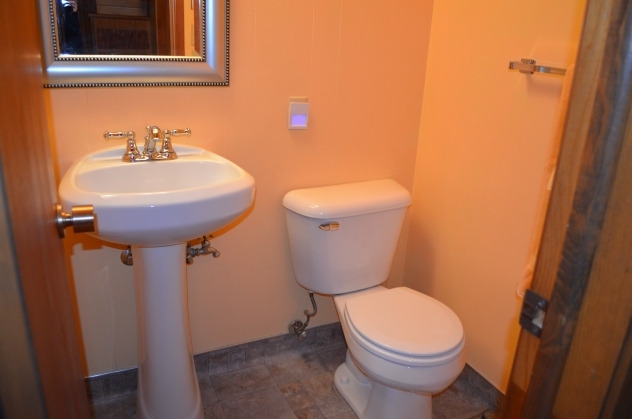 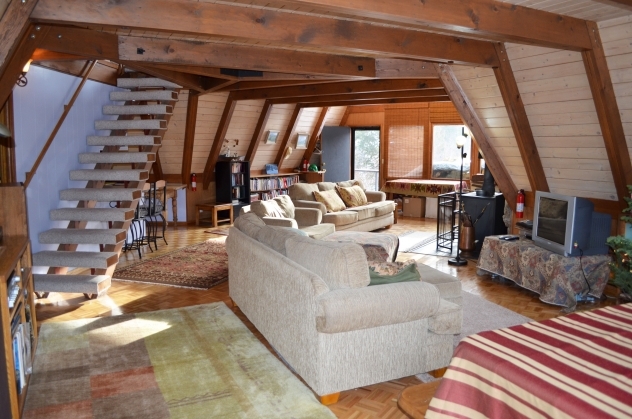 Pine Meadows features a main floor with living room, dining room and wood stove seating area. 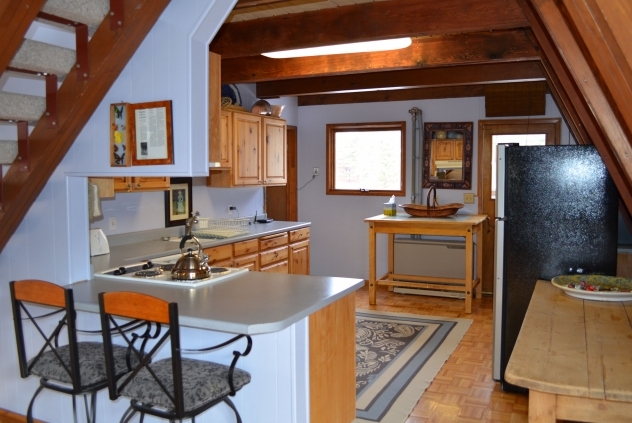 The large kitchen with dining bar makes for easy cooking and serving. 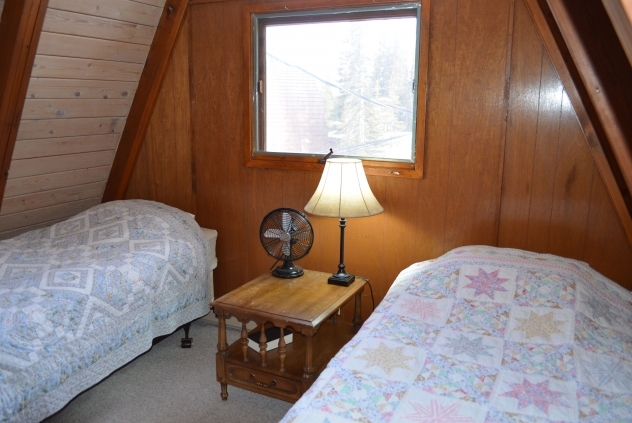 Located on the stream and surrounded with pines and willows creates the feeling you are in the middle of nowhere when in fact you are walking distance to slopes and nordic center.